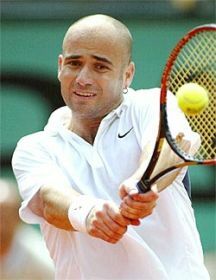 Retirement has not stopped Andre Agassi. The Summerlin resident and tennis super star from Las Vegas is taking a shot at real estate. He plans to develop luxury resorts across the world featuring Agassi-Graf Tennis and Fitness Centers. He will work in conjunctions with Exclusive Resorts and He will serve as senior advisor. Keep watch as developments enter the design and development stages.